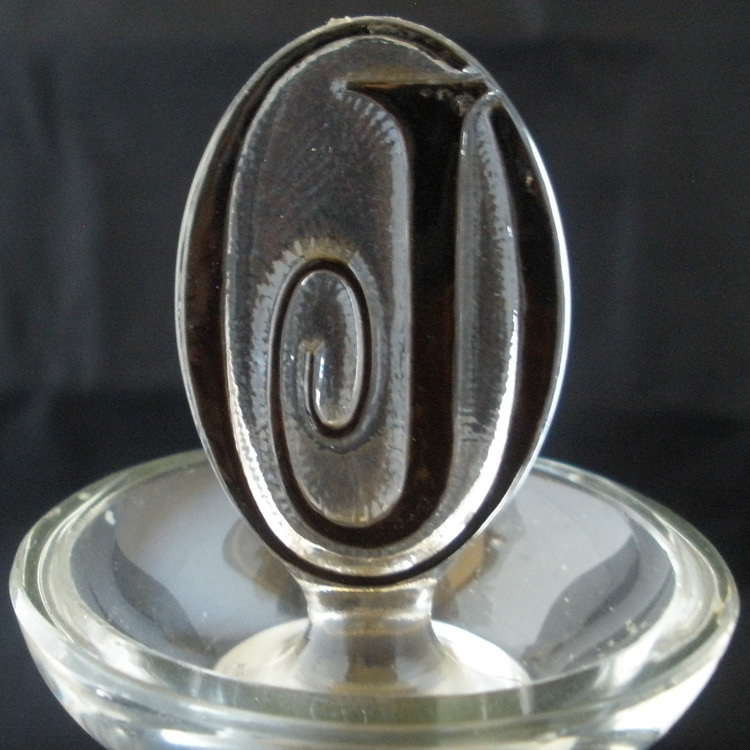 Rene Lalique James Oviatt Decanter: About 9 and 1/2 inches tall clear glass container with an enameled monogramme stopper having a J inside an O for James Oviatt. Oviatt built and lived on the top floor of the Los Angeles Art Deco landmark Oviatt Building for over 40 years. He purchased this decanter with the custom intialed monogram stopper directly from Rene Lalique along with many glass fittings for the building. See the Oviatt Building article in the blog for more information.